Do your strawberries look a bit irregular? Are your apples more round on one side than on the other? Did your raspberries fail to set fruit? Are you seeing spring blossoms covered in bees in the morning or is your garden unusually quiet for spring? Things may improve if you transform your garden area with the bees in mind. According to Frey and LeBuhn in The Bee Friendly Garden, native bee populations are in decline, just as colony collapse disorder is endangering imported honey bees. This in turn threatens the food security of the whole world. What is their solution to this cataclysmic threat? Create more native pollinator habitat in backyard gardens everywhere. The Bee-Friendly Garden is a manifesto. It proposes that gardeners create landscapes, relying on native plants that attract and nurture native bee populations. While honey bees are mentioned, the emphasis is on the 4,000+ species of native bees in North America. What is good for native bee populations will help the honey bee, too. Why should you plant a bee friendly garden? 70% of the world’s plants depend on bee pollination in order to produce seed. 30% of the world’s food crops depend on bees for pollination, including plants in the home garden, like fruit, nuts, melons, berries, squash and cucumbers. 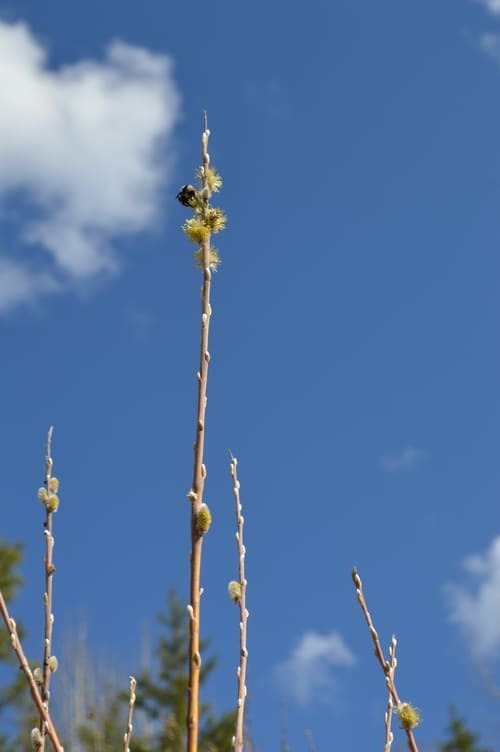 Home gardens can supply essential nesting spaces for native bees, ensuring their resilience. Bee Friendly Garden begins by introducing 9 common North American native bees, their habits, their nesting needs, and pictures so you can recognize them. Flowering plants that are preferred by these native bees are shown in gorgeous photographs. 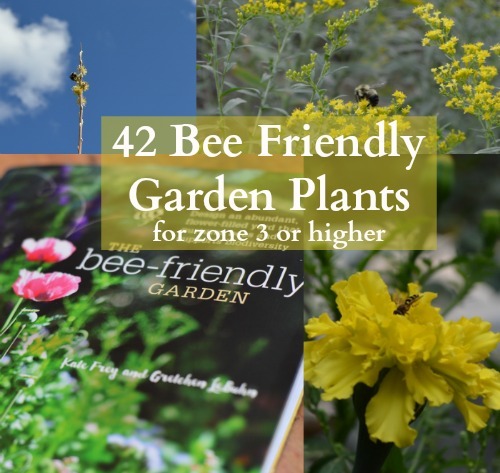 The book then moves into lists of plants for a bee-friendly garden, bee-friendly plants for an edible garden, and regional plant lists of native flower plants for you to consider when adding plants for pollinators to your garden design. Chapter 4 shows you the basic elements you need to account for when designing a garden for the pollinators. Chapter 5 offers suggestions for garden design with the pollinators in mind. Complete bee gardens and simply adding a few bee-friendly plants to an existing garden design are discussed. There are no garden design maps and or sketches to help you in your own garden design, as you see in most gardening books. What are offered instead are lists of plants. While plants are listed, the reader is left to guess what most of the plants will look like in the landscape, including the colour of the flowers and the height and spread of the plant. Is the plant a vigorous grower or slower to gain a foothold in the soil? How long do the blooms last? Will this native plant spread uncontrollably in my limited garden area? The lack of garden design plans in the book is a major drawback. While there are attractive pictures of blooming gardens, there are no plans that tell you how big of a space to allow, how many over story, understory and ground cover plants of each type to fit into the space. There is an assumption that the reader is already familiar with the growing needs of the plants listed, and won’t need instructions about spacing, water needs, or how each plant relates to the other plants in the landscape. In this respect the book seems more like a book of lists with pretty pictures rather than a workbook that will help you bring a bee-garden to life. This book is not for the beginning gardener. There is not enough basic information to help a beginner design and plant a garden from scratch using this book. The experienced gardener who has had success with growing fruit, vegetables, and ornamentals, but would like to encourage native pollinators, will get the most out of this book. The book is focused on the contiguous United States. Those living in Alaska or Hawaii, or the international reader may find the book interesting for the principles it offers, but will not find the lists of native plants helpful. 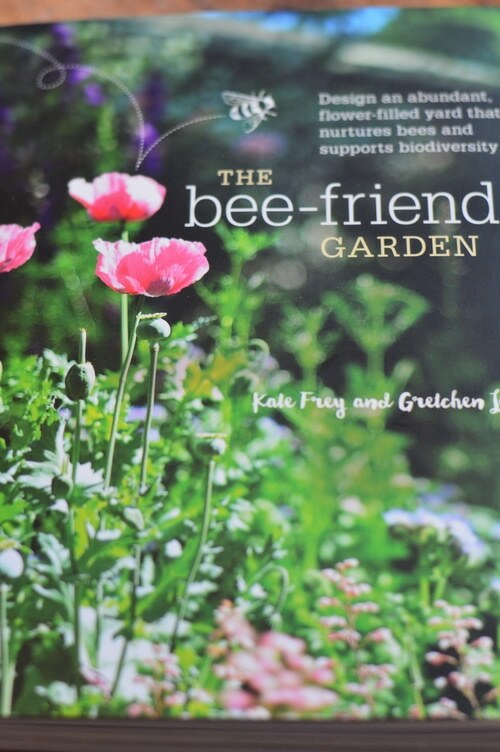 American readers who have an established garden and would like to add bee-friendly plants within an existing landscape will get the most from this book. Beginners who are seeking to create edible landscaping within a small garden can use the lists in this book to fill in gaps in other garden designs. In each section of the book there seems to be a list of plants that bees like, lists of plants that are harmful to bees, and lists of plants with other characteristics related to native pollinators. The plant lists are helpful to the intermediate gardener. The photography is vivid and inspiring, kissed by the California sun. 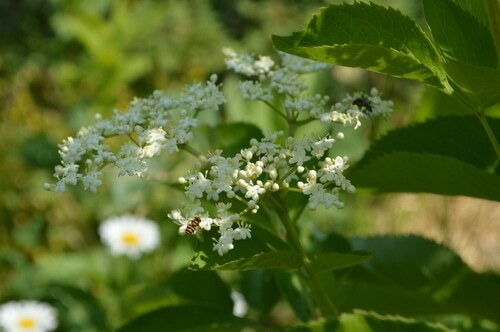 Many of the photographs have a whimsical bee cartoon visiting flower after flower. It makes it fun to look through the pictures. The pictures make this an attractive coffee table book. The book design was poorly done. The pages are glossy and the print is small, making it a strain to read it. The inset elements are in smaller print and lighter ink that makes them almost impossible to read against the glossy pages. All the headers are done in pale gold which make them very difficult to read, with the reflection on the pages, interrupting the flow of the book. While the content of the book is good and the subject matter is interesting, these design flaws make actually reading the book instead of just looking at the pictures, a difficult task. Did the book fulfill the promises made to the reader by the title? I did not feel that the book went far enough in the design suggestions to actually allow a naïve reader to design a garden full of nectar and pollen that will nurture native bees, throughout the seasons. While there were abundant suggestions for plants that could be added to the landscape, there was not enough information given about the plants to let a gardener estimate how many plants to buy, and how far apart to plant them to allow for a well-designed garden space. The main take away, choose plants with single blooms rather than double blooms. Choose native plants over imported plants. 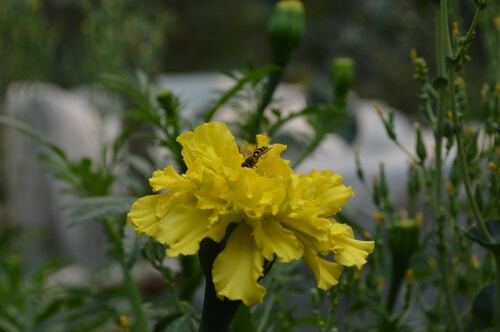 Choose long flowering plants over plants that only flower for a short time. 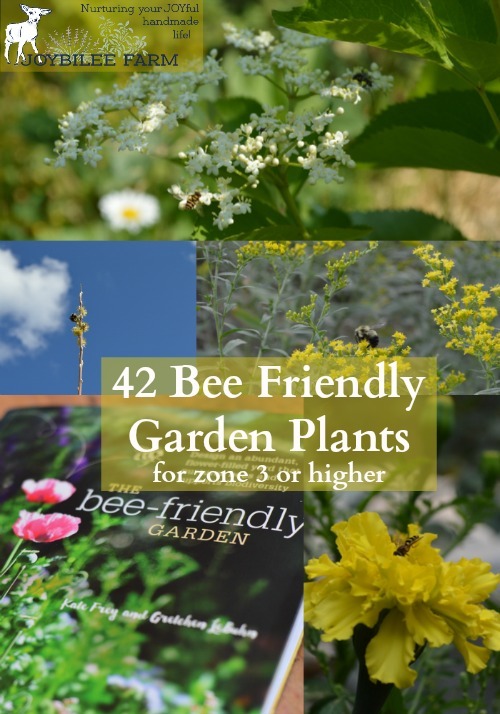 As you consider which plants to add to your garden to make it more bee-friendly, check out this list of 42 perennial native plants for zone 3 to 9. 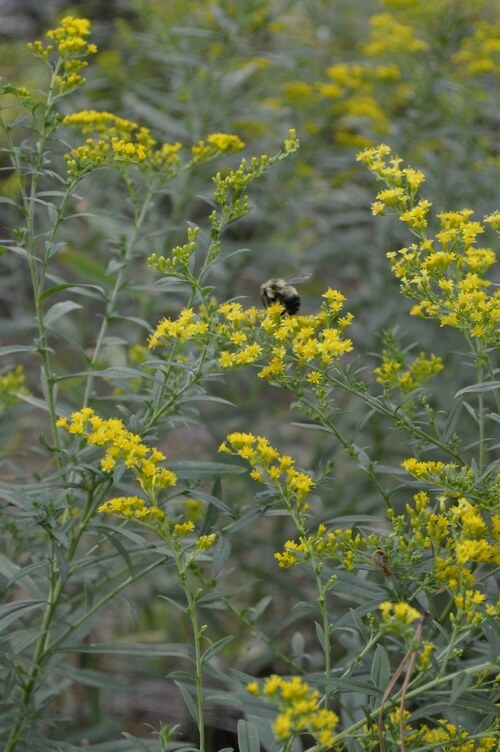 This list was drawn from the lists of bee-friendly native plants in The Bee Friendly Garden. These are predominantly North American native plants, if you have a garden outside of North America, consider the flowering plants of similar species that are native to your area. These are the plants that will be the most attractive to your native bees. 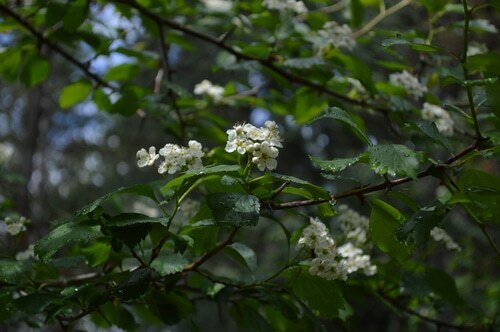 For instance, if you live in Scotland, instead of choosing a Columbian hawthorn, choose the European hawthorn, instead of choosing a highbush blueberry, choose a bilberry or other native berry to fill in the gaps in your garden plan, and make it more bee friendly. Prairie Blazing Star Liatrus spp. Texas Hummingbird Mint Agastache spp. As a manifesto for the need to nurture native pollinators this book does it’s job. Here’s the best practices, taken from the book, to start creating bee-friendly places in our gardens, our schools and parks, our cities, and our regions. Add some single blooming flowers with a long blossoming period to your garden. A single blooming rugosa rose is more attractive than a double flowered tea rose to bees. Instead of planting pines and cedars on the borders of your garden or yard, consider adding a hedgegrow or small island at the edge of your garden that will feed native pollinators, attracting them to your garden. 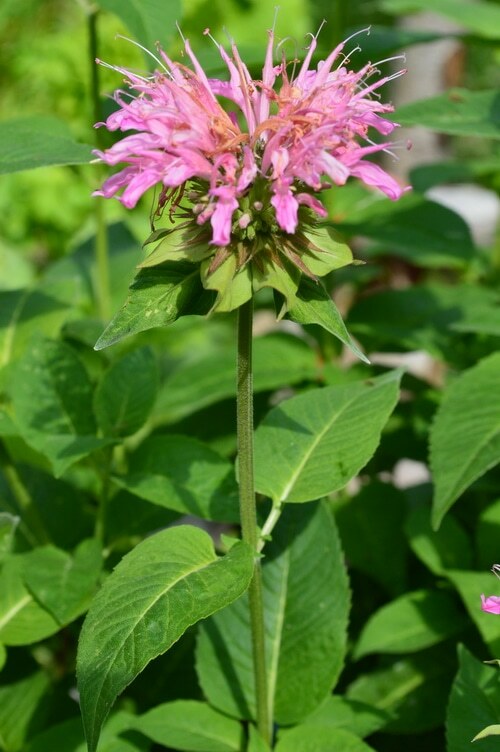 Use native trees like willow, hawthorn, linden, and wild cherry and surround them with lower storey native shrubs, like cranberries, or blueberries, and ground covers, like echinacea, monarda, poppies, and wild mint. Choose plants that are indigenous to your region. Add a water feature made safe for bees. Adding pebbles, rocks, or marbles to a bird bath can prevent bee drowning. Add bee nesting areas and protect them from woodpeckers and other predators. Home gardeners need the support of local governments to allow for creative initiatives that move away from lawns to more ecological landscape solutions. Check with your city bylaws and your homeowners association before ripping up your front lawn to put in more native plants. If local government doesn’t understand the dire need for bee-friendly gardens give them a copy of this book, and get the conversation started. More Bee Friendly Garden Plants to Consider. 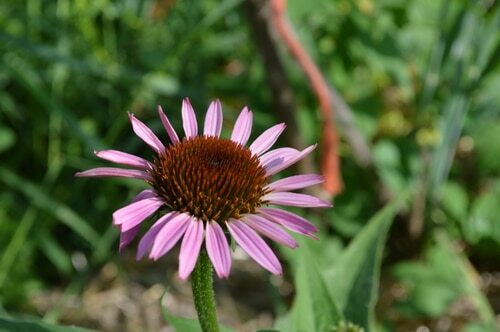 Perennials for Pollinators from Attainable Sustainable. Disclaimer: I received a review copy of this book from Blogging For Books in exchange for my honest review. Thank you for this post! I definitely found some good ideas and new plants to add to my garden. I’ll be very glad to attract more bees to my flower garden this year. Thank you for sharing!